Robotic Cleaner - Anthony Pool Service - Cleaning Pool Service Pool Service, Pool Cleaning, Pool Maintenance, Pool Shop. 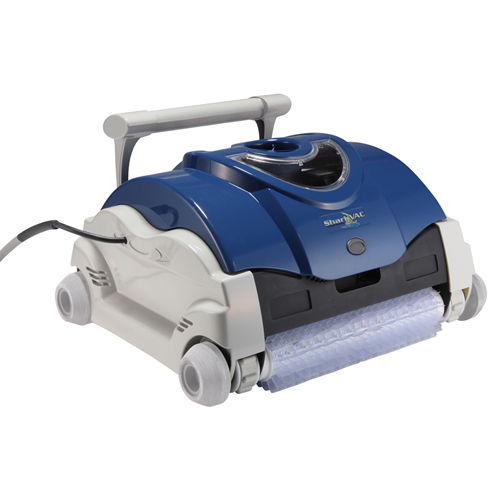 The NEW Zodiac V1 redefines pool cleaning with its innovative looks and advanced technology. Designed to provide impeccable cleaning and guaranteed satisfaction, the V1's advanced design sets it apart from pool cleaners of the past. Provides quick and efficient consumption of larger debris whilst maintaining maximum suction throughout the cleaning cycle. Consuming 70 watts of power per hour (less than your average light bulb) the V1 consumes on average, 50% less power than most other robotic cleaners. The quick release filter canister allows you to clean and remove debris in a matter of minutes. The Zodiac V1 is capable of picking up both small and large types of debris with its oversized suction intake. The compact design of the V1 enables it to reach the more difficult zones of the pool. Weighing only 6kg the V1 is easy to handle and store when not in use. 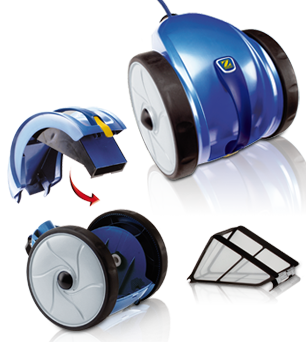 SharkVAC™ is the newest innovation to the TigerShark® family of Robotic pool cleaners. SharkVAC™ by Hayward incorporates two fine porosity filtration elements in a sleek floor-specific design. ave up to 94% on energy costs with TigerShark Robotic Cleaners. Our energy-efficient TigerShark uses less energy vs most pressure cleaners and has been selling worldwide for 40 years.